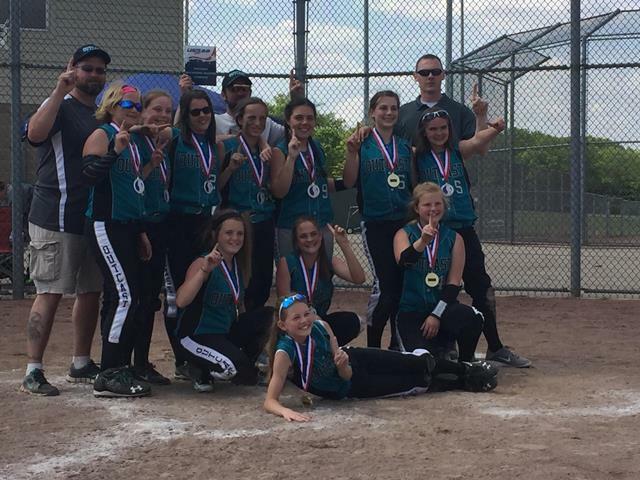 ’03 – News & Accomplishments – "For the Love of the Game"
OUTCAST ’03 takes home the big trophies in Fairborn going undefeated for the weekend. The team was on fire scoring 84 runs in 6 games! 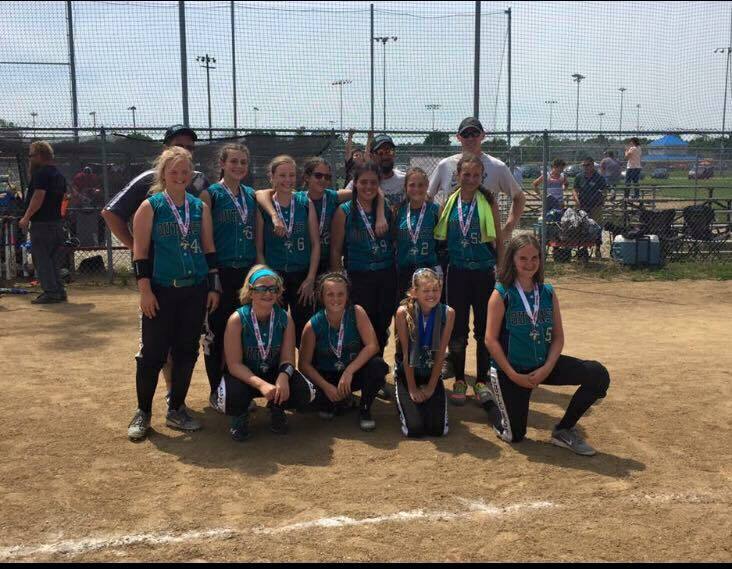 OUTCAST ’03 takes second place at the 12th annual Gene Harvey Memorial. They had an excellent weekend overall, but came up short in the championship game. After dropping their first pool play game of the tournament, these girls caught fire! Winning 5 in a row to take the championship. Great group of girls and coaches. They are fun to watch! OUTCAST ’03 placed second in their first tournament of the 2016-17 season. This is a great start for the ’03 team entering their first year of 14U play. We look for great things from this team! 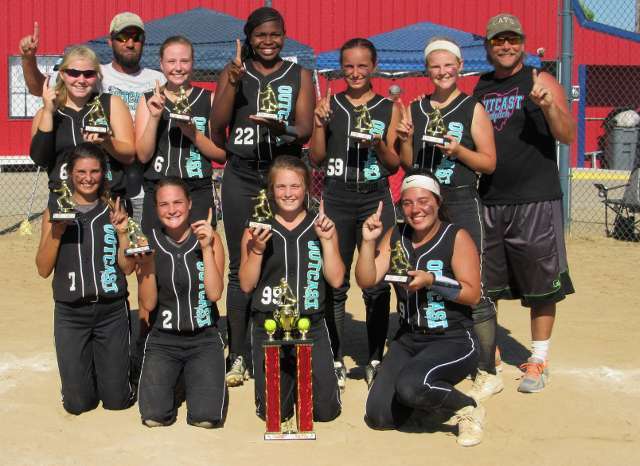 The OUTCAST ’03 team is keeps on keeping on by placing 2nd in the LOU & Shorty Showdown at Kettering Fields. Their impressive run continues with out of this world batting, and fighting hard every game. 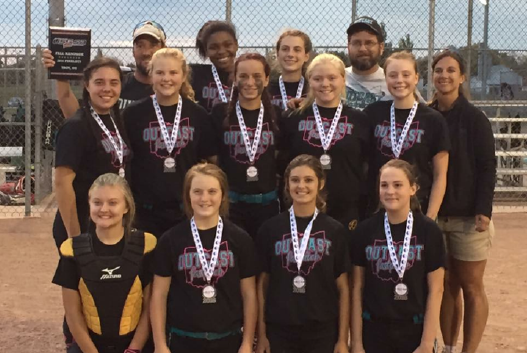 OUTCAST ’03 provided its fans with a “Clean Sweep” at the USSSA Swing into Spring National Qualifier. Starting in pool play with double digit offensive performance, set the stage for going 3 and 0 in pool play. That momentum carried over to bracket play for a 3 game sweep to take the top spot and become tournament champions. With the strong tournament win comes a berth to the USSSA National Championship. Way to go girls!! !